Marrying a non-local girl, when one fails to get a suitable match, due to overage, low income or any physical disability in Kashmir is now a common practice in the valley. But such marriages create their own ugly upshots in Kashmiri society. For most of his life, Amir has suffered due to his parent’s interracial marriage. The teenager talks in chaste Kashmiri, but his brown appearance gives away the so-called “Bihari” features. But the fact remains, there’s nothing Bihari about this boy, whose mother comes from Bengal and father from an underprivileged family in Srinagar. Even then, the teenager is referred as “Mandela”—the nickname he got because of his colour. Most of these kids born out of the interracial wedlock often drop out of schools to support their poor families. Their fathers often hit fragile age by the time these kids turn teenagers, forcing many of them to become struggling breadwinners. Amid such struggling domestic compulsions, the taunts and name-callings hurled on his colour often leave the boy shattered. “I know most of my friends and neighbours call me Mandela lovingly, without meaning any slur, but this doesn’t feel right — especially when life is already taking you for a ride,” he says. It’s this daily, silent and unseen struggle of these kids that make these interracial marriages a matter of great introspection. The plight of their homes further makes it clear. A slum scene gets unveiled inside a rundown house in Srinagar, where a family sits wearing sullen faces. They mostly appear to wonder and worry about their harsh and hostile life circumstances. The space is filled with grimy kitchen-wares, soiled clothes and loose bedding. This is where Zamina first stepped as a teen Bengali bride, some 22 years ago. Since then, she’s grappling with a life and its oppressive regimental routine. In this crowded single-room, she lives with her daughter and aged husband. Zamina’s husband is a Pashmina weaver, earning around five thousand rupees after finishing a single shawl piece. But the work usually takes a month or two to get completed, and few more days to get wages. “Life has been tough,” Zamina says, preparing lunch for the family. “Living in this single-room has its own issues. My daughter is growing up. Kids are sensitive, you know. They need their own privacy.” She leaves it there, without explaining the obvious, any further. Since her marriage, this Bengali woman has been helping her husband. She manages her household chores and takes care of her daughter. Kolkata has remained the centre for such marriages. A good number of Kashmiri workforce visits the place, especially during winters, to sell famed Kashmiri shawls. It’s during these visits to different villages in Bengal that some of these men opt for poor girls to marry. Frequenting those areas, with bagful of shawls upon their bicycles or behind their backs, makes them familiar faces there. And it’s this familiarity, says one shawl dealer, that often initiates matchmaking. 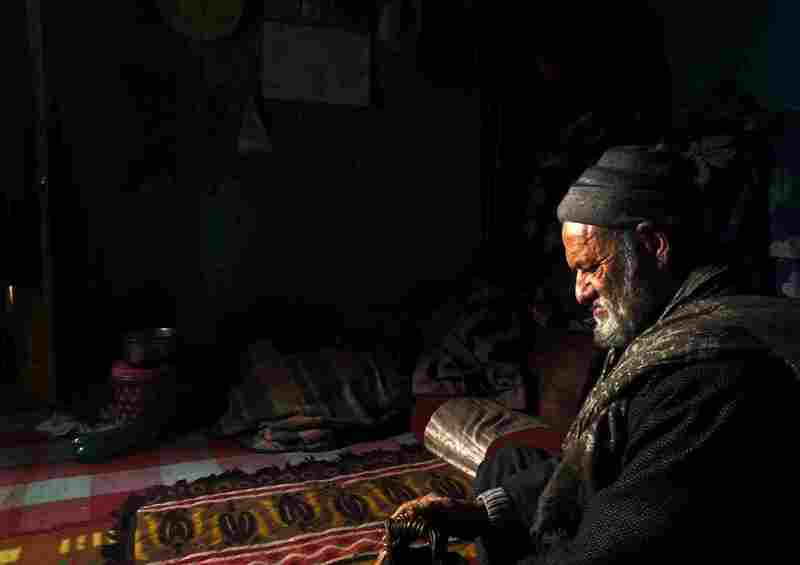 These marriages often happen between aged Kashmiri men (most of whom are unable to find a match in the valley due to poverty or overage) and young Bengali girls of poor families. The living standard of these girls may improve initially after coming to Kashmir but such imported wives find it very hard to survive in the society later, especially with low income and the children. It was one such marriage that sent Noor Aisha to the valley. Two decades later, Aisha is helping her ailing husband in making a living for the family by preparing a street snack (called Masala in Kashmiri). Every evening, in the Gousia Market Srinagar, she sets up her stall along with her husband, who sees through contact lenses and can barely walk without a stick. On Sundays, she sells Masala in Eidgah, Srinagar—where a good number of hungry cricketers crowd her stall. But mainly, such marriages directly affect the children. “I want to take my child out of the government school and admit him in a private school so that he can become a respected member of the society and not like his father,” says Yasmin, another Bengali bride. In his late-40s, her husband sells blankets on a hand-driven cart in Srinagar. “My age at the time of the marriage was 24,” Yasmin says. It’s this blind matrimonial pursuit that’s now amassing new social and domestic issues in the valley. But then, like other issues, even this one hardly seems to bat an eyelid around.